Do you favor an educational process that backs diverse high school students in their search to discover their gifts and passions and then nurturing those gifts and passions? Does that sound better to you than rote instruction based on standardized tests and curricula? Do you like the notion of enabling students to explore and examine their lives and the world around them through language and culture? Do you think Spanish and other languages can be taught in cross-curricular experiences that are meaningful to teens that are actively working on reengaging themselves in their own education? Does a boarding school that bases its ”disciplinary action” on relationships and mutual respect resonate with you? 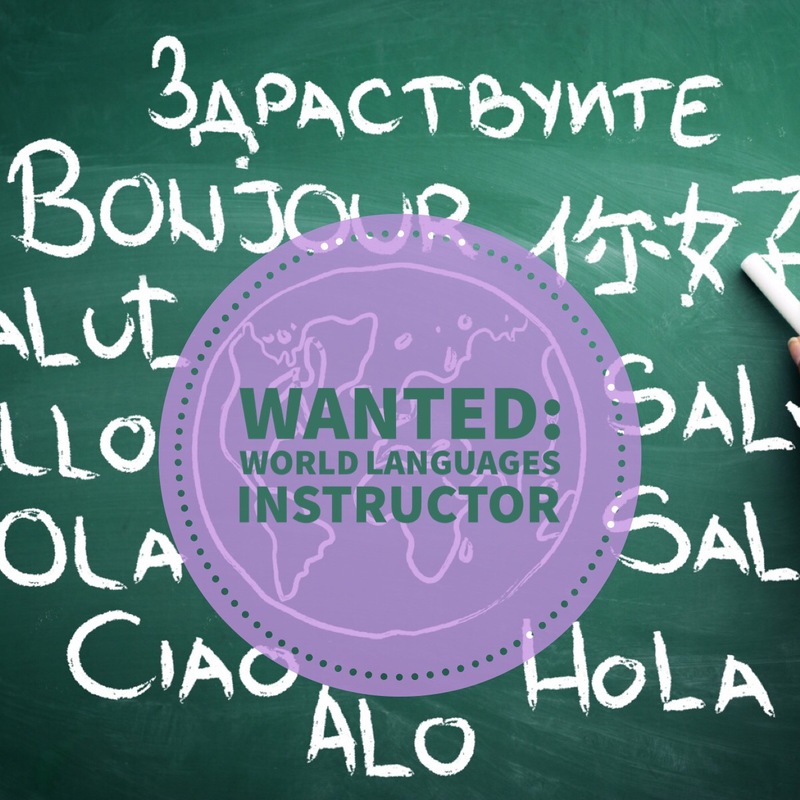 If you answered yes to those questions, consider applying for our latest job opening: World Languages Instructional Specialist. At Eagle Rock School and Professional Development Center (PDC), our instructional specialists work together to develop empowering active-learning opportunities for our students. We care about each other’s success and our student’s experience, and the way we work constantly and consistently leads to innovations that have an impact at our school and beyond. 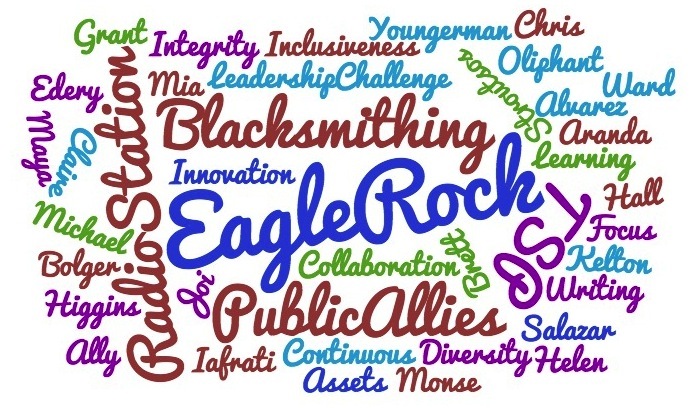 It is the task of our Public Allies fellows to serve a full school year in an apprenticeship where they are asked to create, improve and expand services offered by Eagle Rock — specifically in the areas of youth development and education. Like Allies across the country, fellows also participate in a rigorous leadership development program and community building activities, and they each contribute to team service projects (TSPs). Well-designed TSPs seek to recognize the assets of a community instead of approaching communities in a needs-based way. In small groups — and in partnership with community members — Allies create, implement and evaluate a service project that will ideally have a sustainable and lasting positive impact. This year we introduced the concept of TSPs during core training. And before students even arrived on campus, our fellows had already begun to brainstorm ideas for projects inspired by their own strengths and passions. 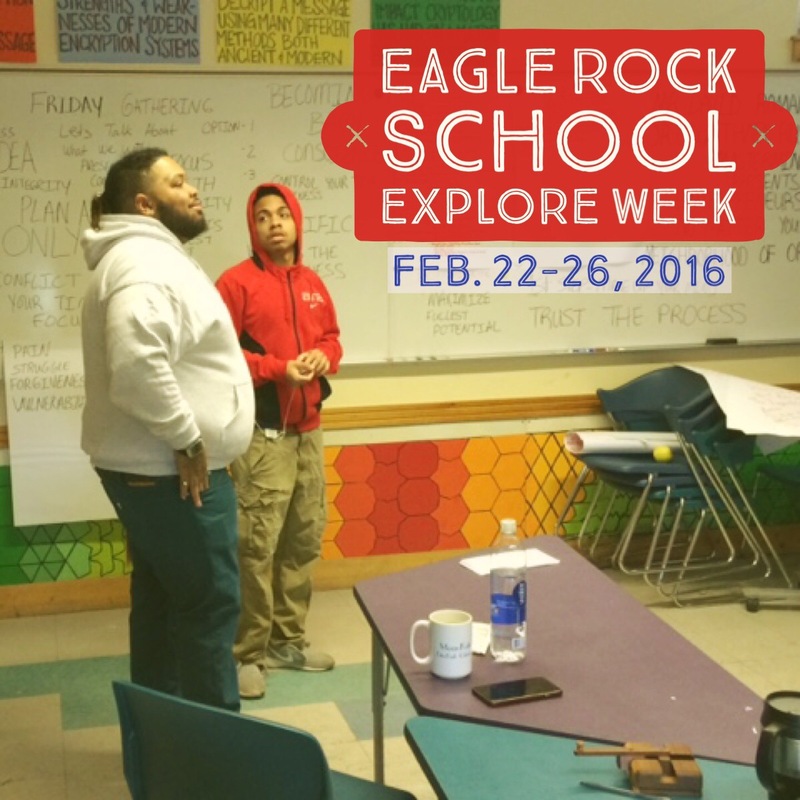 As the weeks progressed, and as fellows became more integrated into the Eagle Rock community, additional ideas emerged. Terry Tierney says it was our campus — 640 acres of beauty and nature — that initially drew him to toward Eagle Rock School. In fact, it was the mountainside community of Estes Park that prompted him to move his wife, Kerry and their son Finn into a home in nearby Estes Valley. Eagle Rock: Where did you go to college? 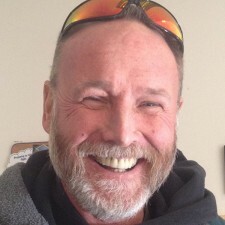 Terry Tierney: I am a graduate of Kean University in New Jersey with an undergraduate degree in public administration and criminal justice, along with a collateral degree in environmental studies. I also received an associate of arts degree in criminal justice from Union County College in New Jersey. Terry: Before coming to Eagle Rock, my past lives in the Estes Valley include working at the Stanley Hotel, working seasonally for Rocky Mountain National Park, a ski lift operator at the old Hidden Valley Ski Area, and a wastewater operator at Upper Thompson Sanitation District. Eagle Rock: What was it that attracted you to Eagle Rock? At the beginning of each trimester Eagle Rock students and several staff members participate in house retreats — a pair of days that enables members of each house to reconnect and bond with each other. This trimester, Juniper, Ponderosa and Aspen houses took to the mountains and went snowboarding at Vail Resort. A number of staff and students had been on the trip in previous years, but for many, this was their first experience on a snowboard. 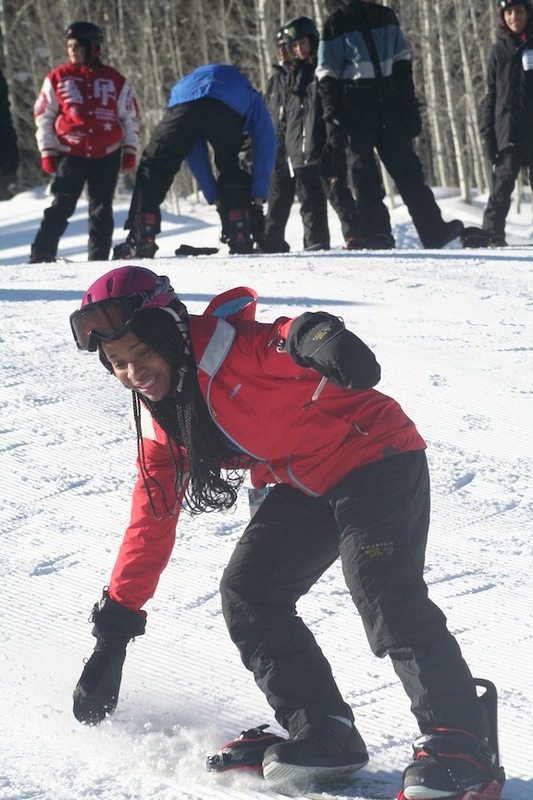 There was plenty of anticipation and excitement as students suited up for their day on the slopes. Vail Resorts sponsored eagle Rock’s Ride School and SOS Outreach, a nonprofit that uses adventure sports to engage youth, took care of getting the students the professional instruction they required to snowboard at Vail. Students began their day by thinking about discipline — which is among SOS Outreach’s six core values — and what it means to them. With these thoughts in mind, students strapped in and began their day. The students and staff began by learning how to balance on their boards, with many mastering how to turn and stop. Falling was fairly typical as it is with all new snowboarders, but positive attitudes prevailed and laughter was the general response after nearly each wipeout.